Let’s try it. Imagine a fall without the quintessential ray-flowered, uniform, burnt orange, purple, and yellow mums flanking front doors and creating autumnal porch presentations. It’s almost as difficult to imagine a poinsettia-less Christmas, due partly to tradition and partly to their vibrant, instant pops of color. The potted mums we see so commonly this time of year is Chrysanthemum x morifolium. Chrysanthemums are hardy or semi-hardy herbaceous perennials in the Asteraceae family, producing blooms in response to cool nights. Mums are particularly popular this time of year, because while most summer annuals and perennials have tired and faded, the sturdy and reliable mums are beginning to bloom. This is how they have gained such popularity as a décor for harvest festivals around the U.S. There are, however, other perennials besides mums that we usually treat as annuals or nothing more than short-term dining room table ornamentation, which will bring delightful blooms and autumnal color year after year. If you are looking to expand your harvest display this year, here are my top 5 picks for fall florals that extend beyond the mum. It’s hardly about the blooms with this plant. Flowers occur in spring, and they are a very light blue, some may even see white. The foliage, however, is a substantially poofy mass of feathery narrowleaf foliage from late spring until frost. The texture provides a soft touch and dynamic contrast when paired with leathery-leafed and tougher-looking plants. Truly a multi-seasonal plant of interest, in autumn the entire thing turns from a pristine green to tones ranging from golden yellow to copper. This native is not a favorite with deer or voles and prefers full sun to be at its best. 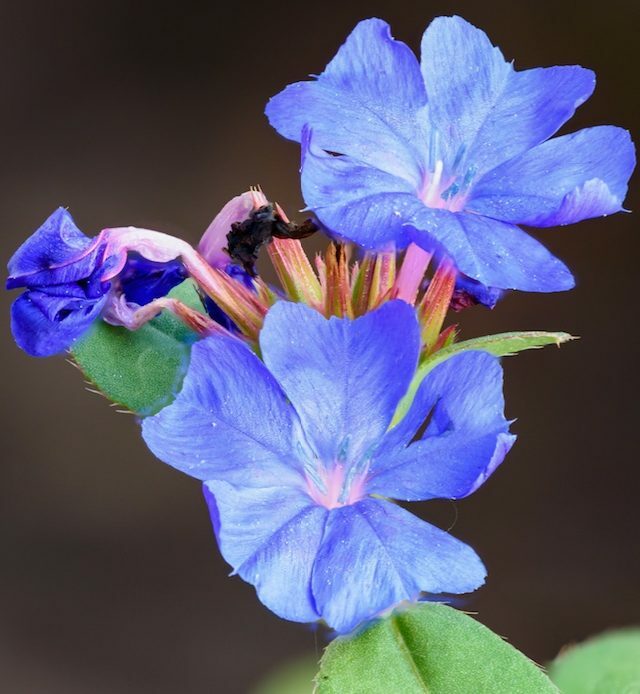 True blue flowers and remarkable fall color are two attributes not commonly found in a low-growing, herbaceous perennial. Native to Western China, leadwort blooms from July until October and makes an outstanding groundcover during warm months (it is not evergreen) and does very well in most conditions. However, for the best performance, plant in well-drained soil and provide this plant with afternoon shade. It’s tricky to say that any plant is deer resistant, but leadwort is not the first plant that deer will go after. This plant pairs well with silver and gray tones, as well as with bulbs. Once bulb foliage begins to die back, Ceratostigma begins to bloom, creating a beautiful distraction. ‘National Arboretum’ is a late summer-blooming, clump-forming grass that produces dark purple plumes from August – October. The species is Native to West Australia and East Asia. As the name suggests, the cultivar ‘National Arboretum’ was developed at the U.S. National Arboretum in Washington D.C. 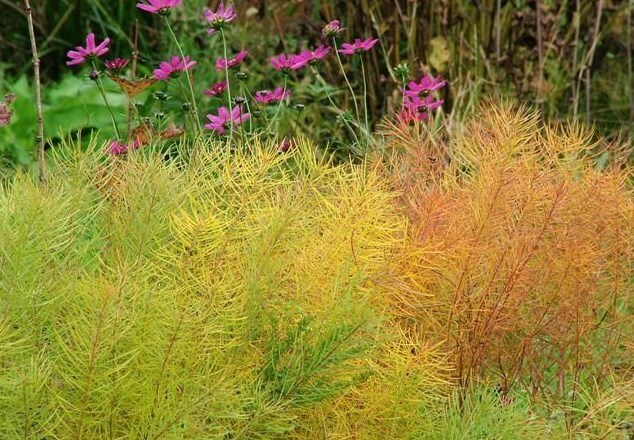 The foliage isn’t anything too spectacular- it really is all about the feathery flower spikes with this grass, and some gardeners may even find the foliage more attractive as late fall and winter interest. The leaves take on a yellow-brown color when temperatures begin to turn in fall. 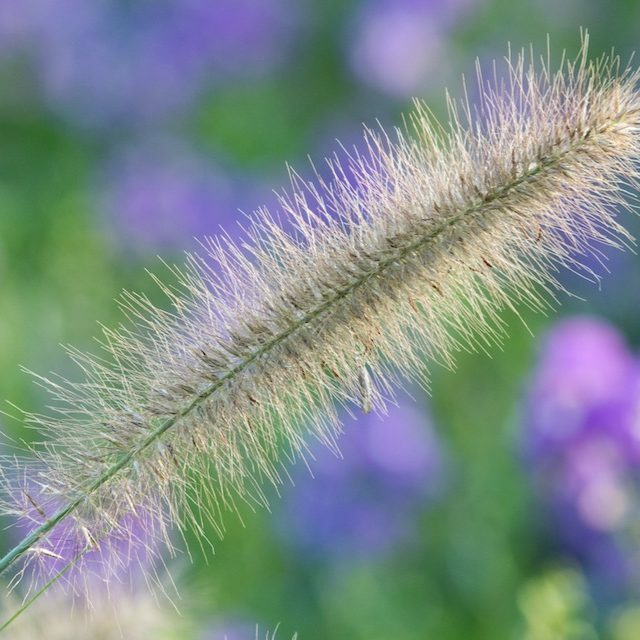 Given full sun and an average amount of moisture, this grass can greatly benefit a garden’s texture palette and reach a height of 2-3 feet tall. It is a vigorous re-seeder in optimal conditions, but it does not come back true to seed. This cultivar is a tried and true one, dating back to 1937 Czechoslovakia when it was first found in a nursey. Today it one of the most popular perennials in the marketplace. 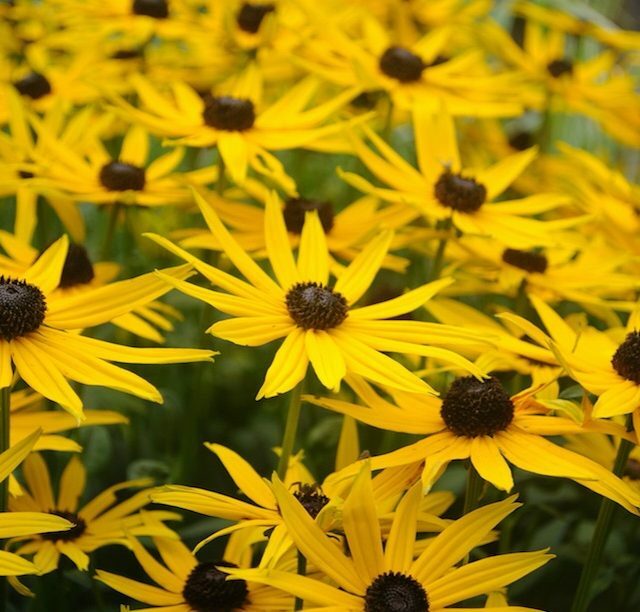 With a high tolerance to heat and humidity, the species, R. fulgidais native to the southeastern U.S. Foliage is dark green, flowers are deep yellow, 3-4” wide with deep brown central cones. 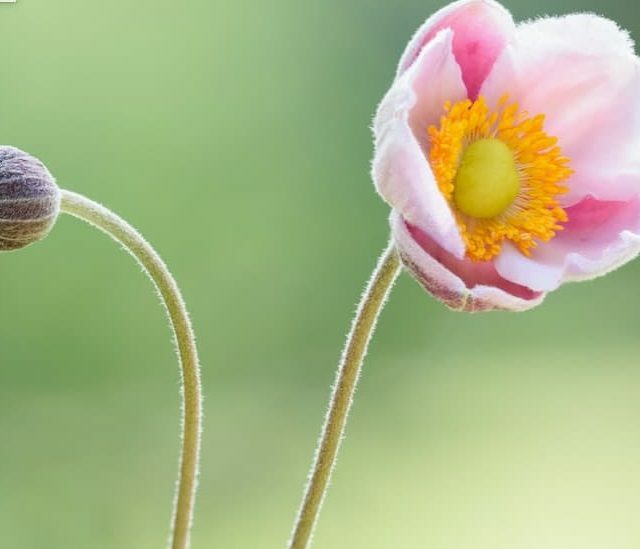 Well-drained soils and partial shade are the 2 main ingredients for a winning anemone display. Although anemome can be slow to establish, after year 2 or 3, you may find that it’s a bit aggressive. The late flowering blooms are much appreciated here in the South when most other plants are preparing for winter or too hot and tired to put on a show. ‘September Charm’ is known for her abundance of single-flowered, upright blooms, an iridescent rose-pink in color and ability to extend its flowering well into October. This is a clumping perennial that forms rhizomes and is known to naturalize. Plant in partial shade to avoid leaf burn and with ample room to colonize. All of these top plant picks can be seen throughout the gardens at Cheekwood during our Cheekwood Harvest festival, happening through October 21! You can pick your pumpkins, see spooky scarecrows, and gather garden inspiration that will inspire you to go beyond the mum! For more information, visit www.cheekwood.org.